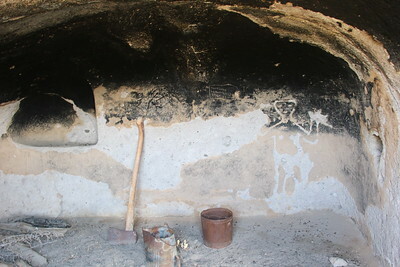 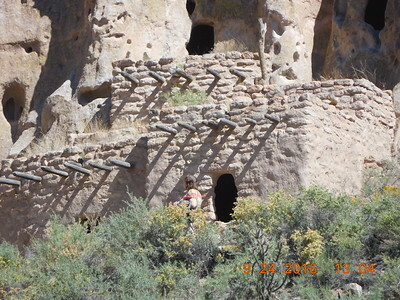 Bandelier National Monument contains 33,677-acres in New Mexico preserving the ruins and artifacts of homes and territory of the Ancestral Pueblo People. 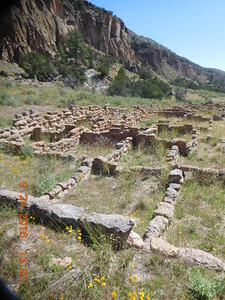 Most of the pueblo structures date to two eras, in total from 1150 to 1600 CE. 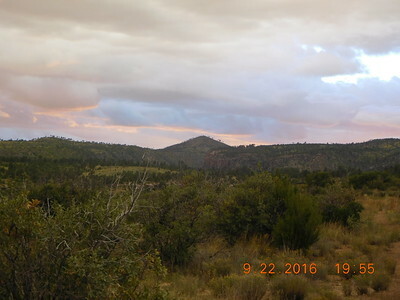 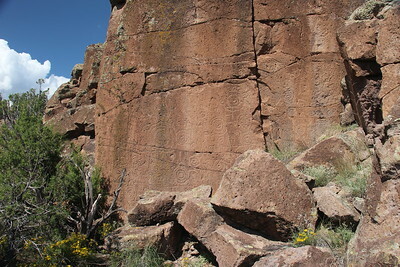 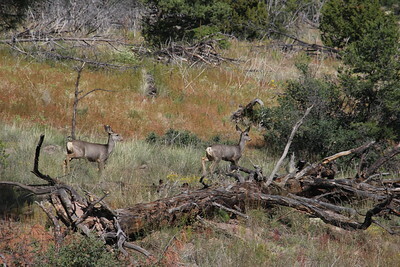 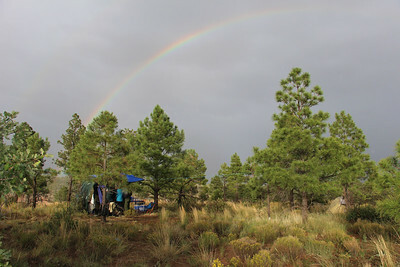 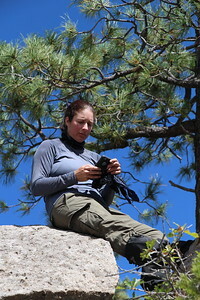 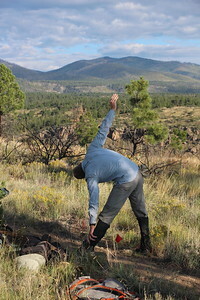 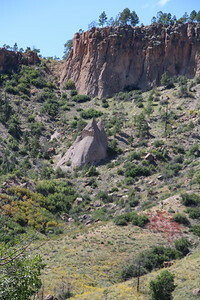 The Monument is 50 square miles of the Pajarito Plateau, on the slopes of the Jemez Volcanic field in the Jemez Mountains. 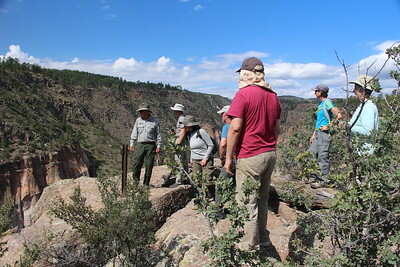 Over 70% of the Monument is Wilderness, with over one mile elevation change, from about 5,000 feet along the Rio Grande to over 10,000 feet at the peak of Cerro Grande on the rim of the Valles Caldera, providing for a wide range of life zones and wildlife habitat. 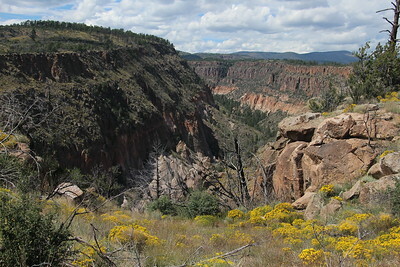 There are only three miles of road, but more than 70 miles of hiking trails. 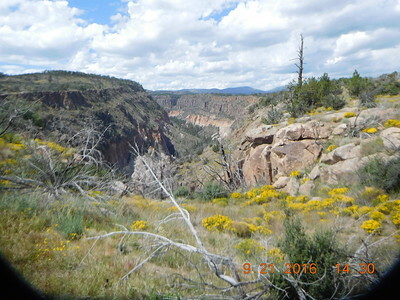 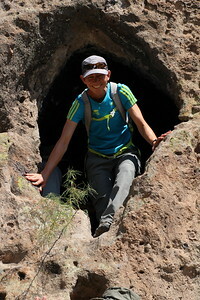 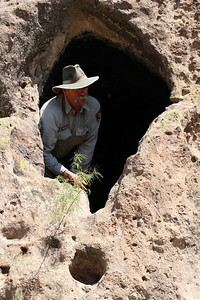 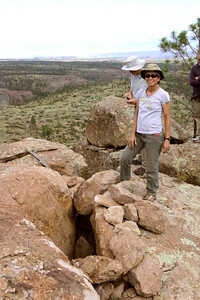 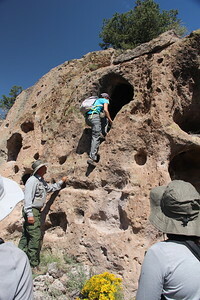 A majority of the Monument's visitors see the archeological sites via the more accessible Frijoles Canyon. 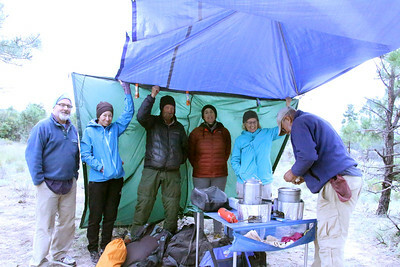 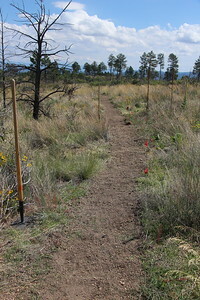 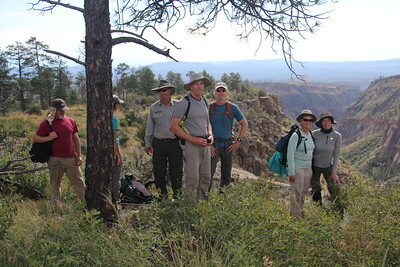 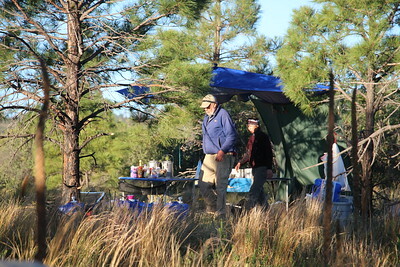 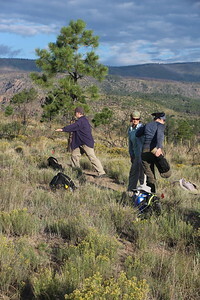 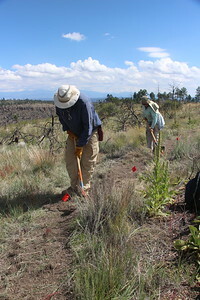 Our service project was to assist the Park Service with much needed maintenance on the Frijoles Canyon Rim trail. 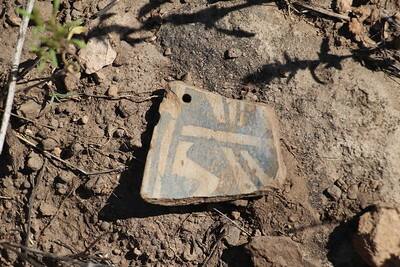 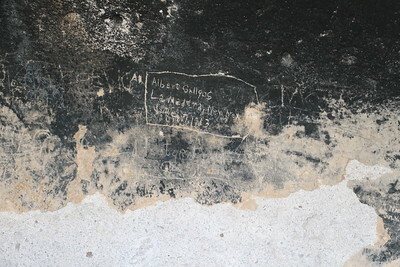 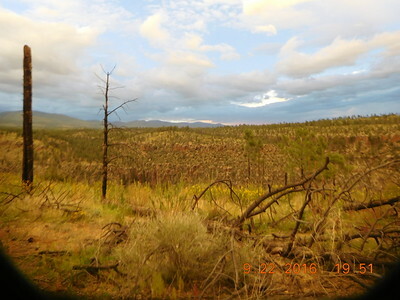 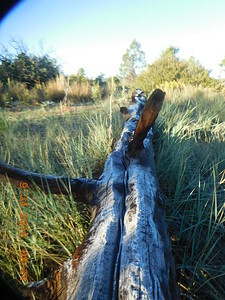 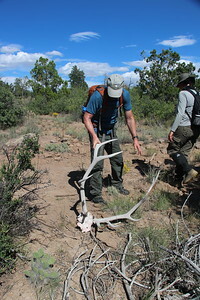 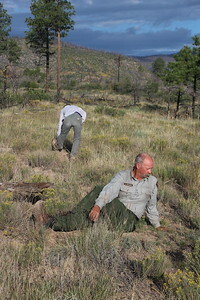 This archeologically important public land was badly damaged in the Las Conchas fire, the largest wildfire in New Mexico's history. 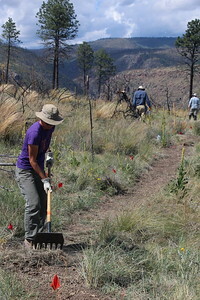 We focused our efforts on rebuilding and rerouting a section of the 14-mile loop trail that leaves from the visitor center.